People are often fascinated by the life of a writer. Just what do they do all day? There are a lot of distractions to being a writer- see above. People think that because you are home all day you either spend the time drinking Coke, reading magazines, or twiddling your thumbs in boredom- not that I am opposed to any of those ideas. The real truth is that writing is work! A schedule has to be set and then kept, despite the ringing phone (thank the Lord for answering machines), avoid checking emails when you sit down at your computer until after your goals are met, and learning to say NO to zillions of requests from others on wonderful, but time consuming projects. Regardless of the best of intentions, life often can send you on a curve with some type of an emergency that cannot be avoided. The writer has to be able to get back into the writing groove over and over again in order to be productive. Where do writer's get all their ideas? If I become close friends with a writer will they end up putting me in a book or write about me? To put it gently to you, most of the time you really aren't that interesting. Sorry- that is unless I get totally bored or desperate and then I just might write anything. I make no promises. One mystery writer confided to me at a writer's retreat that she never had to worry about seeing a shrink- if someone upset her she simply put them in a book and killed them off! Often a writer's life seems to epitomize the pinnacle success where they spend a lazy day writing at their computer when the muse hits them or traveling all over the USA as a best seller giving book signings to hordes of anxious waiting fans. People often have the misconception that writers have boxes of free books to hand out and fat bank accounts. I mean after all they don't really work- they just write. And everybody knows that anybody can write. Right? So what does a writer do? #1. A writer has deadlines. Just like anyone else with a job if a writer is going to get paid they have to meet an editor's deadlines. #2. A writer has to have an idea or theme. I'm working on writing a book about Gernt. I became fascinated by stories I heard Granny, Leda Roysden, tell about her childhood in Gernt- a place that no longer exists- and decided to do research and write a book to bring back a forgotten era of my grand children’s legacy. #3. A writer has to do research. One Saturday my husband and I decided to find Gernt. It was fifteen miles from our home located in the vast wilderness of the Big South Fork. Despite the hardship to reach our destination, we were enthralled by the unique beauty of the mountains and valley that enclosed Gernt where wild ferns and flowers grow twice their normal size. While there I could hear echoes of the past in the White Oak Creek as it danced over rocks, in the vast stillness broken only by the chirping of birds, see it in the butterfly’s wings as they fluttered over clumps of wild flowers along the trail, and hear it in the wind that whispered through the treetops of days gone past. Meanwhile I've got to get back to my writing. 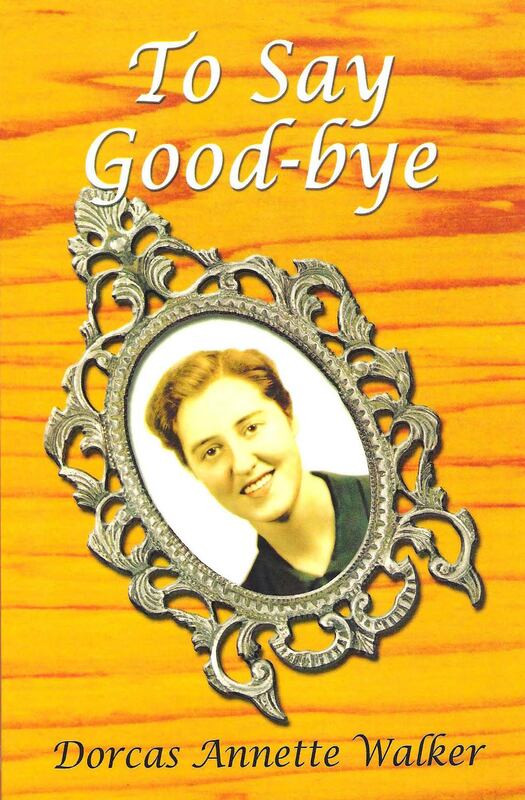 My memoir, To Say Good-bye, (about the six months that I personally took care of my mother in our home before she died of AIDS) is now out of print! I had to retype the entire manuscript in my computer and now am busy editing oodles of pages as I consider putting it into an e-book format. - I have sent my manuscript on Lyme disease, Living in the Lyme Light, out to a publisher for consideration of publication this spring. - I am also working on getting a cookbook of my recipes together in book format. - I plan on finishing the first draft of my Gernt book as well this year. *Feel free to email me at: [email protected] to ask about my progress on any of these projects!